The third annual Gender Equality and Mainstreaming in Technology (GEM-Tech) Awards by UN Women and the International Telecommunications Union (ITU) has opened its call for nominations. This prestigious global prize recognizes outstanding contributions from women and men (individuals and organizations) addressing the digital gender divide by embracing the potential of information and communication technologies (ICTs) to empower women and girls. Technology for Women’s Empowerment and Digital Inclusion: initiatives related to women’s social, economic, political empowerment, combatting gender-based violence (both offline and online), and driving sustainable development. Promote Women in the Technology Sector: initiatives that promote more gender equality in ICT/STEM education and careers, especially initiatives where girls and women are cultivated as creators, developers, leaders and decision-makers. Develop Gender-Responsive ICT Governance: initiatives focused on new legislation, policy frameworks or internal corporate strategy to improve women’s access, connectivity, security, digital literacy and citizenship, skills development and rights. 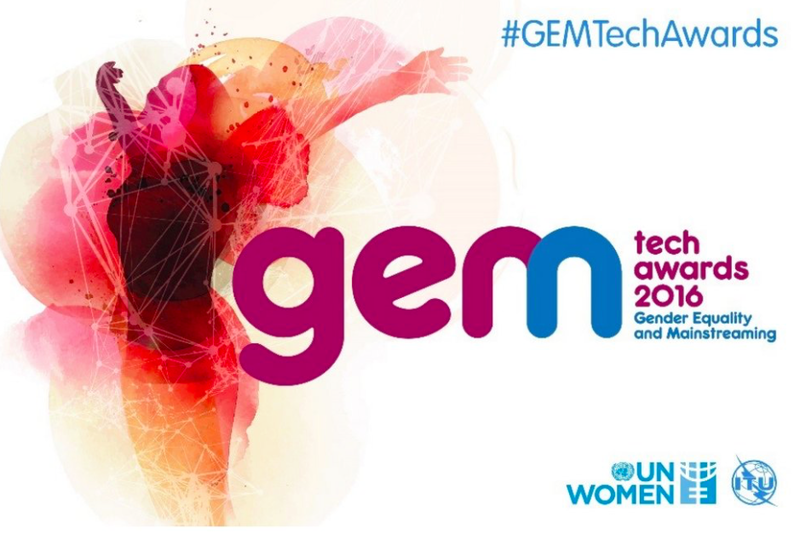 The final three (3) winners will be selected by a committee of experts from UN Women, ITU and a panel selected from the 2015 GEM-Tech winners. The awards will be conferred on outstanding individuals or organizations accelerating gender empowerment at a ceremony to be held in Bangkok, Thailand, as part of the ITU Telecom World event (14-17 November 2016).